One Plus 3T, the latest flagship smartphone and the second one released by the company in this year. One Plus 3T is the improved and next model for One Plus 3 (Released in June 2016) which got enormous positive reviews across the world. It is Not less than six months after the release of One Plus 3, the company is back again with the launch of another flagship smartphone. The new One Plus 3T comes in 5.5-inch 1080 Optic AMOLED display with 2.5D curved Corning Gorilla Glass 4 protection which is same in the previous model One Plus 3. The phone is pre-installed and runs on Android 6.0.1 (Marshmallow) with Oxygen OS on the top. One Plus 3T is powered by 64-bit Quad-Core Snapdragon 821 processor along with the Adreno 530 GPU. It comes with 6GB LPDDR4 RAM and the internal storage or the onboard storage of this device is 64GB / 128GB. The primary camera on OP 3T is 16 Megapixel with LED flash. 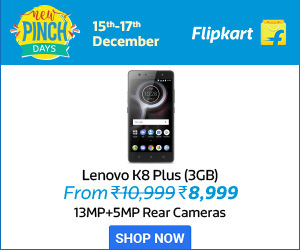 Other features are Phase-Detection Auto-Focus (PDAF) and Optical Image Stabilization (OIS) helps in capturing the best images with the sharp and clear details. It supports the video recording up to 4K at 30FPS (Frames per Second). The slo-mo videos can capture with the resolution of 720p at 120 FPS. The front facing camera comes with 16 Megapixel with the Samsung 3P8SP sensor. The video recording can done with 1080p resolutions. The handset is with the dimensions as 152.7×74.7×7.35mm and weighs about 158g. The phone comes with the fingerprint sensor on the bottom of the device. This helps in unlocking the phone with the lightning speed and secure the data on your phone. The battery comes with 3400mAh capacity and supports Dash charging. Check out the overview of the OP 3T specifications. 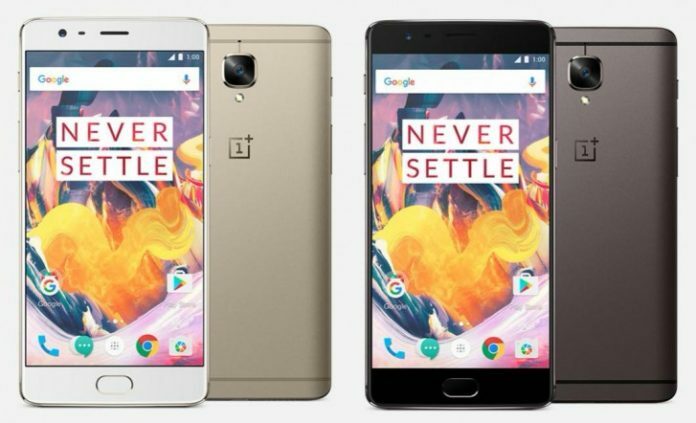 The new One Plus 3T is available in 2 color variants Gunmetal and Soft Gold. OP 3T is available with the price tag of US $439 (Approx. Rs. 29782) for 64GB Variant and 128GB Storage variant priced about US $479 (Approx. Rs. 32485). 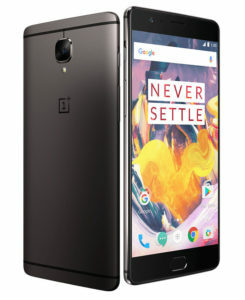 This super remarkable smartphone is available on the One Plus official website from 22 November, 2016 in the US and 28 November, 2016 in Europe. The details regarding the release in India yet to reveal by One Plus. Stay tuned for more details about this top-notch smartphone and other updates.